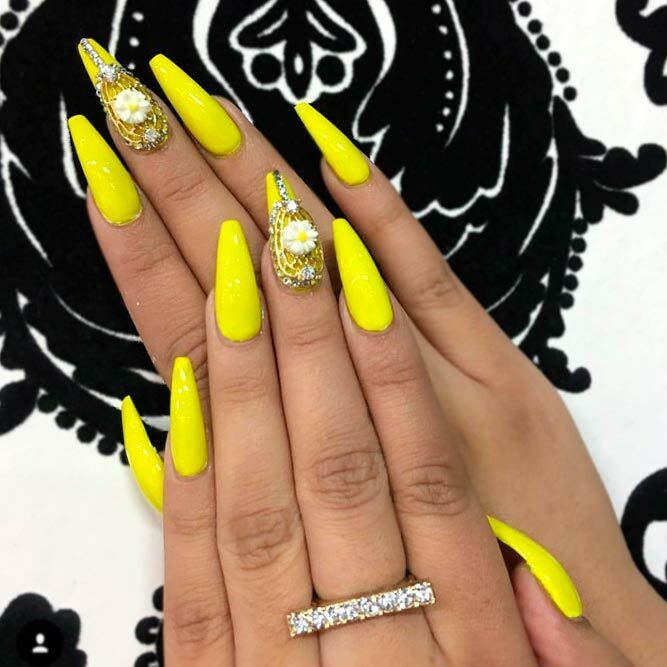 Yellow Nails Designs are the sign of joy and happiness. Since the summer is coming, the color of the sun becomes trendy. 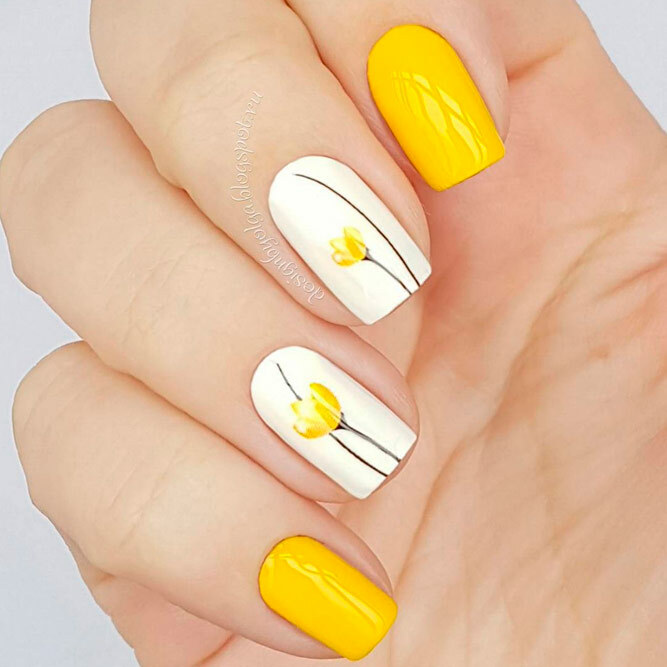 Besides, yellow is popular due to its ability to combine well with dark and bright colors without losing its beauty and warmth. But enough talking – see for yourself! 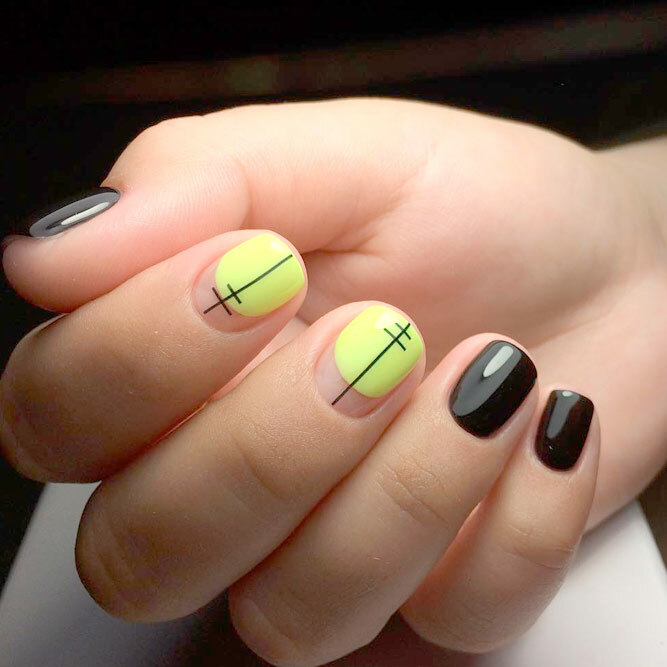 Even short nails will look brighter if you add a little bit of black, be it simple black lines or just one plain black nail. 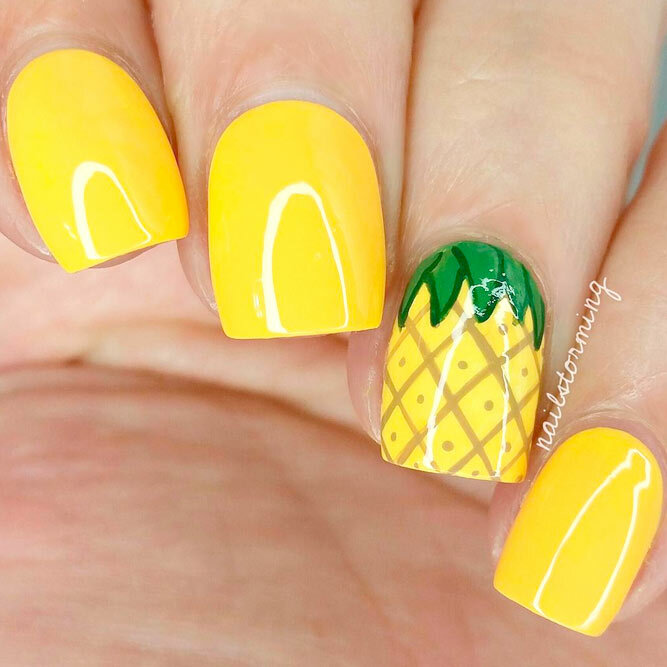 Yet, plain yellow on nails looks as bright! Rainbow nails scream – we are ready for the sun! Add a piece of lime to the pattern and let your imagination flow – summer is coming! 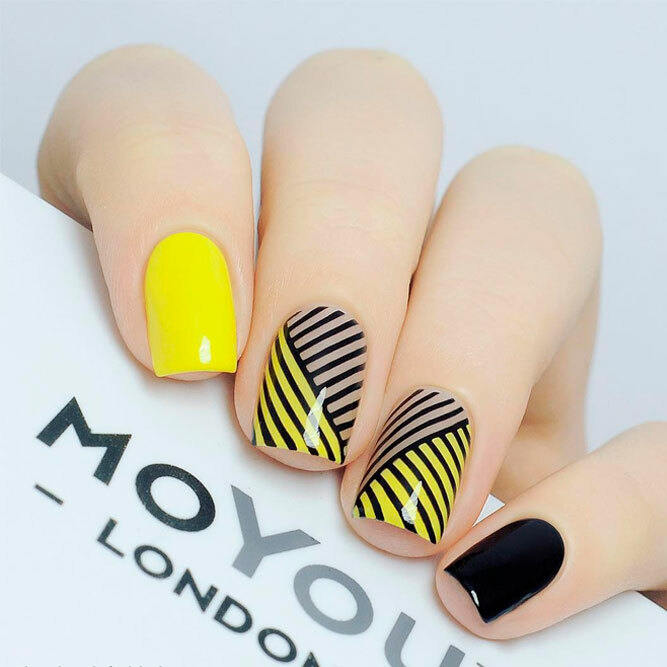 With the help of yellow and black, you can make your nails look stunning, especially if you combine it with some geometrical figures, just think about it! Your mind is already far away, but you are still working at the office? 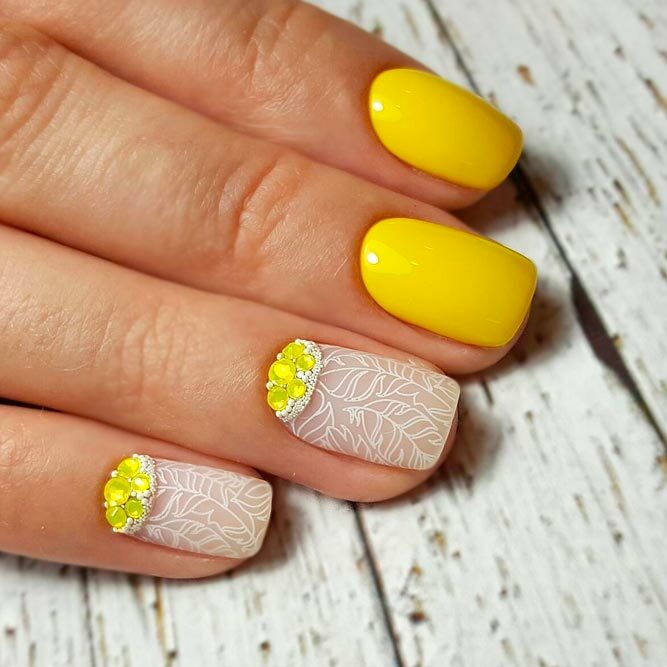 These nails in soft yellow with addition of gentle flowers will help you relax even at work. 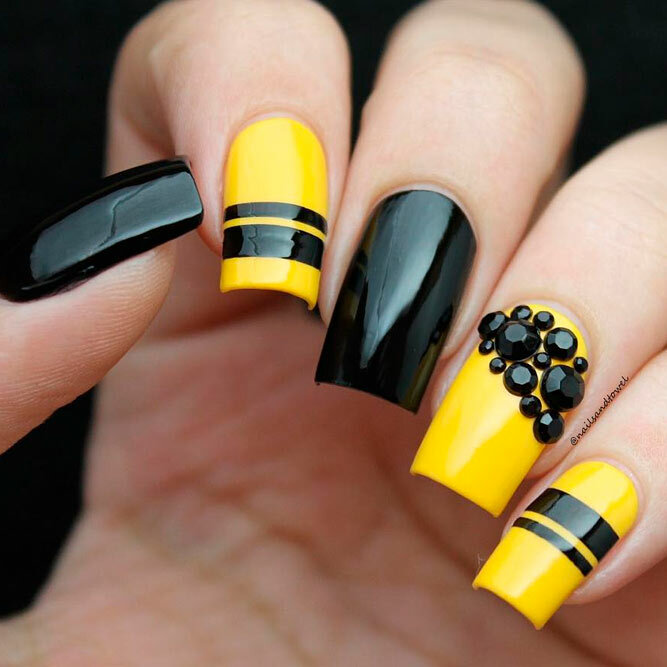 Mix various gentle designs with yellow nail polish and rhinestones and you will get an unforgettable and elegant look appropriate for any occasion. 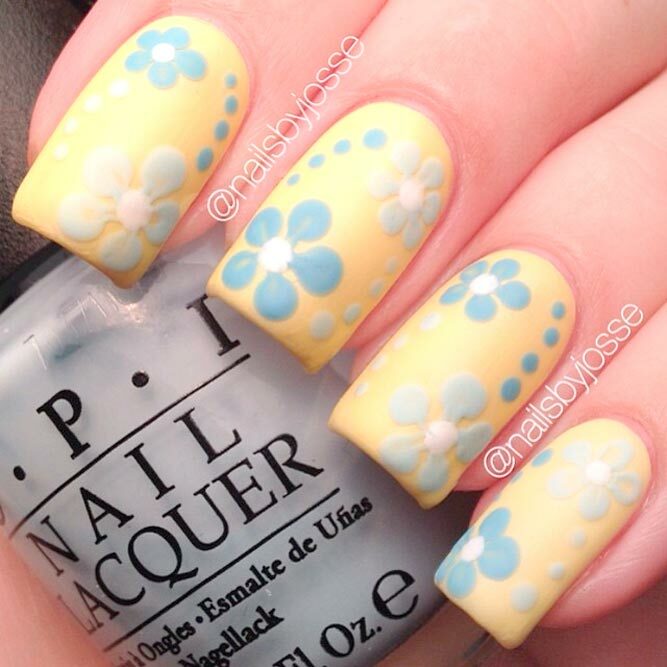 A bright yellow base with addition of pretty silver sparkles won’t remain unnoticed!